This crochet pattern gives you the instructions, so that you can make an adorable amigurumi humpback whale toy/prop. Perfect photo prop, gift, or to be on display. Made with only crochet parts, so no buttons or eyes to worry about with choking hazards. 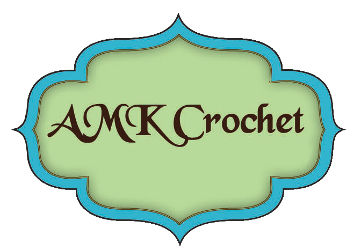 This is a CROCHET PATTERN ONLY–NOT A FINISHED PRODUCT. No item will be mailed to you. This is for a digitally downloaded pattern, that gives you the instructions to crochet your very own humpback whale plush toy. This crochet pattern gives you the instructions, so that you can make an adorable amigurumi humpback whale toy and photo prop. Perfect photo prop, gift, or to be on display. Made with only crochet parts, so no buttons or eyes to worry about with choking hazards. The humpback whale blanket is a free pattern, that you can get off my blog – www.amkcrochet.com. It is not included in this PDF file listing. With ‘E’ hook and worsted weight yarn, you just want your stitches tight enough, so that the stuffing doesn’t show through. You will need Adobe Acrobat Reader to open this PDF file. To make this item, you should be familiar with basic crochet stitches and techniques. Directions written so that they are easy to read and follow. Patterns are written in standard American/U.S. English terms.